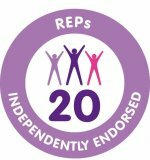 The Freedom PT Training Certificate in Personal Training is available to learners who have already achieved the Level 2 Certificate in Fitness Instructing (or an equivalent qualification). Upon completion you will be qualified to work as a personal trainer, either in a gym or self-employed. 4 weeks full-time, Monday to Friday 09:00-16:00, qualified to REPs and CIMSPA Level 3 / Part-Time format involves 11 days face to face attendance over 6 weekends backed up with on-line lectures. Evidence of a current suitable Level 2 qualification is required for entry onto this course. Also, due to the nature of this course some gym/exercise experience would be desirable prior to start, as are reasonable literacy and numeracy skills. Must be over 16 years of age. Cost: £2100 (10% deposit secures place if booking more than 28 days in advance) 10% DISCOUNT for school leavers and students (aged 16-19, or on production of a valid student card).